Vegeta fights Moro. First, he faces him in super saiyan which is drawn with white hair in the black and white manga, and later he switchs to another type of super saiyan transformation which is drawn with grey. 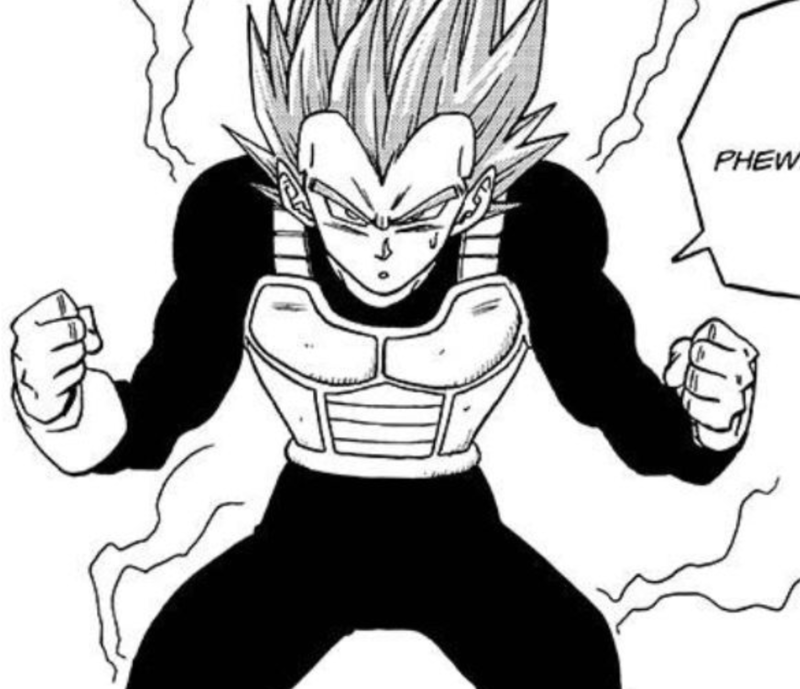 How can you tell when Vegeta is fighting in super saiyan god or in super saiyan blue in the manga, if he doesnt say anything about which transformation he's using, and since his hair in super saiyan god or super saiyan blue looks almost the same in shape? 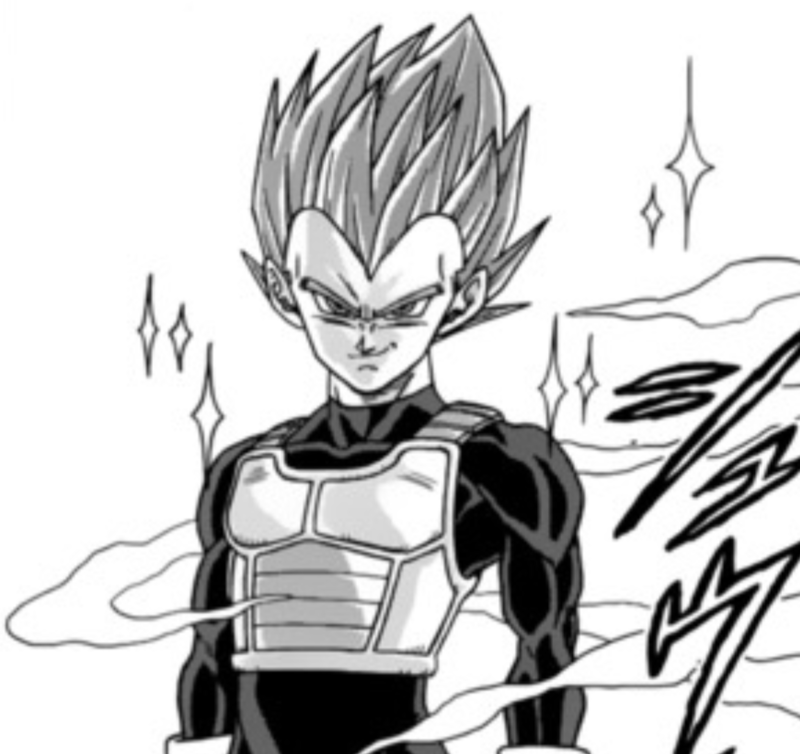 SSJG Vegeta has a black pupil in his eyes while SSJB Vegeta doesn't. Also, the shading in case of SSJG is slightly darker than SSJB. However, it is slightly more difficult to see that. So from what I can see its based on the amount of detail to the hair. Super Saiyan God looks like it has a lot more detail to the hair and looks slightly shorter than SSJB. It also has more shine to the hair the SSJB. Hope this helps! ! [One side Super Saiyan God The other side Super Saiyan Blue] https://imgur.com/a/0UqhTOy !